Los Angeles Lawyer - Employment Law, Dispute Resolution, Sexual Harassment, Wrongful Termination! The Law Offices of Jonathan Biddle is committed to providing legal advice to employees and employers involved in employment related legal disputes. Jonathan Biddle, Esq. & his team offer assistance to anyone who needs help and guidance to favorably resolve an employment matter as quickly and painlessly as possible. The Law Offices of Jonathan Biddle have been representing parties and acting as litigators, investigators, arbitrators, and mediators in employment law field for over 30 years. At the Law Offices of Jonathan Biddle, the mission is simple. Jonathan Biddle, Esq. & his team of legal professionals want to offer each client straightforward and practical legal assistance in preventing problems, settling cases and/or litigating a case in Court. 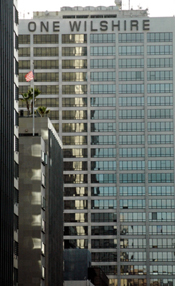 The firm also has an arbitration and mediation practice specializing in resolving disputes.